This advertisement, aimed at women, appeared in the Auckland Star in May 1941. It was wartime and many women were in the workforce, so the ad tried to associate smoking cigarettes with relaxation at the end of a job. 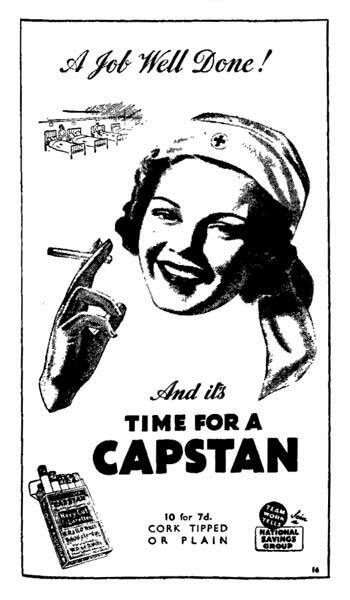 'Time for a Capstan' was one of the best-known advertising slogans of the period.